The Swans recent victory at Everton was significant for a number of reasons, aside from a first ever league victory over the Toffees, it was the first time this season that the Swans had recorded back-to-back victories. Given the precarious league position the Swan find themselves in at the moment, it was a huge confidence boosting win. As Francesco Guidolin and his coaching staff get more accustomed to their new surroundings, it will be another test of both his and his sides credentials as they face a West Brom side sitting just one place and three points ahead of them in the table. A win at the Hawthorns could actually see them overtake Tony Pullis men on goal difference, something which a month ago looked a highly unlikely possibility. Perhaps more importantly, with home games against Crystal Palace and Southampton coming up, a third successive league win or even a draw at West Brom would start to build up the necessary momentum needed for the Swans to move away from the relegation dogfight, which would no doubt see a return of the confidence and belief by both team and fans alike. 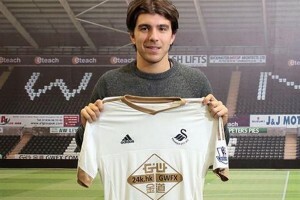 With the Swans hierachy being rather prudent in the January transfer window, it remains to be seen whether or not new £8m signing Alberto Paloschi will make a start for his new club but Leroy Fer will definately not feature as the club waits for international clearance for the loan signing from QPR. If Paloschi does make a start, then expect Jack Cork or Ki Sung-yueng to make way as Guidolin tinkers with the formation he used so successfully at Everton. Swansea have no injury concerns and were no doubt grateful for the extra time available for their new manager to work with his team, due to not being involved in the FA Cup last weekend – unlike the Baggies who were held 2-2 at home against Peterborough United. 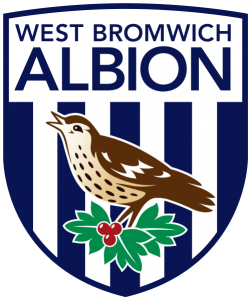 The Baggies will be hoping that both Darren Fletcher and Chris Brunt return for the game after recent injuries, while goalkeeper Ben Foster is one of a number likely to be recalled after the FA Cup draw with Peterborough. New West Brom January transfer recruits Alex Pritchard and Sandro could also feature. With the much talked about Saido Berahino not having gone anywhere (again) in this transfer window, Tony Pulis might be tempted to give him only his 9th Premier League start of the campaign. If current form is anything to go by then we are likely to have a very close low scoring game on our hands, as only bottom of the table Aston Villa have scored fewer than the 22 Premier League goals scored by both the Baggies and Swans this season. The Swans Premier League form at the Hawthorns shows two wins and two defeats, but interestingly, none of the previous nine Premier League meetings between the sides have ended in a draw and we’re backing the Swans to keep that run going with a nailbiting 1-0 win at the Hawthorns. Get odds of 11/2 on Alberto Paloschi to score. Get odds of 5/2 on the Swans to win 1-0, 2-0 or 2-1.